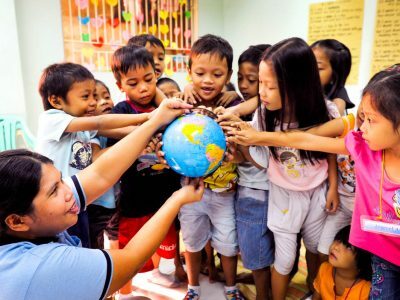 New poverty-alleviation technologies, strategies and tools pale in comparison to the impact of this one simple yet powerful concept that is a poverty game changer. 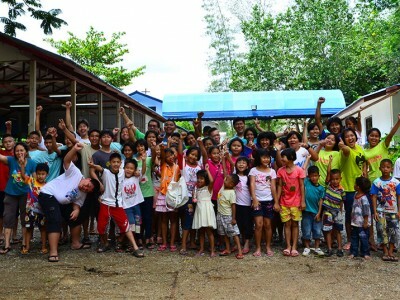 One of our church partners in Thailand has “graduated” from Compassion’s support and now hosts a holistic child development program on their own. In part two of the “Ask Jimmy” blog series, Jimmy unpacks how we select the countries in which we work, shares about some positive global development in those countries and explains why we choose to partner with the local church. Partnering between the resource-rich part of the Church and the resource-poor part of the Church is not something particularly new or noble. It is just what we should do. It is simply what Paul asked the early Church to do. 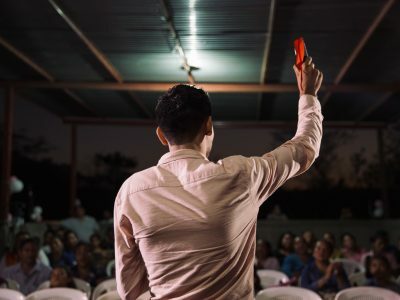 Partnership is at the center of what we do at Compassion — we not only partner with you, our sponsors and donors, but also with the local church around the world. So it’s worth understanding what we mean by partnership and how we do it. Faith is like a bicycle. It requires forward movement for it to work. And it was this faith the spurred Kit Garren to bike across the USA to provide clean water to towns in need in the Dominican Republic. Rwandan Genocide: Where Were God’s People? At the time of the Rwandan genocide in 1994, Gary Haugen, a senior trial attorney for the U.S. Department of Justice, was given an assignment to serve as the Officer in Charge of the U.N.’s genocide investigation in Rwanda. He had seen a lot of injustice in the past, working to combat human rights abuses around the world. And in Rwanda, he stood amid it. He led a team in gathering evidence against those who perpetrated the genocide. He didn’t just fight a legal battle from afar; he stood at the sites of mass murder and mass graves, and looked into the ugliness of this world. And his response to it was quite surprising to me. – Excerpted from RELEVANT magazine, “A Call to Justice,” March/April 2007 with permission. Rather than raging at God, like I sometimes feel tempted to do, Haugen knew that this was a matter for the church. It was our responsibility to do justice, to rescue the oppressed, to plead for the widows and orphans. 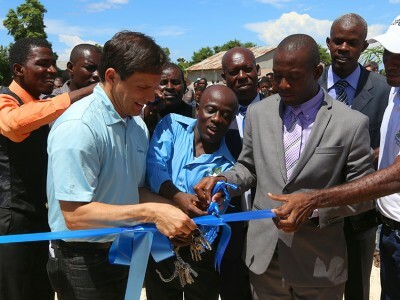 Laurent Mbanda is the Vice President of the Africa region for Compassion and also a native Rwandan. He wrote the book, Committed to Conflict: The Destruction of the Church in Rwanda, about the church in Rwanda and how it was involved in the genocide. Rwandans had a common saying: ‘God spends the day somewhere else, but spends the night in Rwanda.’ To many, God left Rwanda on 6 April 1994 and did not come back until the final defeat of the Rwandan army by the RPF soldiers. But not only did God seem to have left, some church leaders seemed to have allowed, blessed and even participated in the slaughter. According to Mbanda, a history of prejudice and political involvement in the Rwandan church, dating back to Belgian colonial times and early Christian missionaries, set the stage for the unthinkable. Where were God’s people in the Rwandan genocide? Unbelievably, some were right there, supporting it. 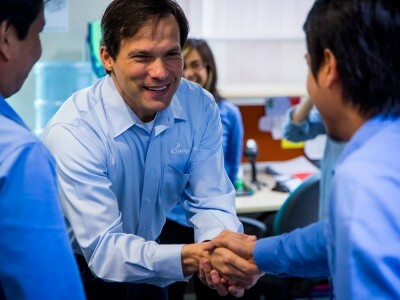 What did Haugen do in response to what he saw? I would have despaired. But fueled by what he saw, Haugen knew what he must do. He knew it was the church’s responsibility, our responsibility, not to wink at the injustices of the world, but to stop them. He founded the International Justice Mission, an organization that secures justice for victims of slavery, sexual exploitation and violent oppression in 12 countries around the world. This organization partners with us to help protect children who might not otherwise have someone to speak up for them. What is your response when you read about the ugliness of the world? Do you want to close your eyes or just despair? It sure is tempting. But rather than giving up, Haugen went to the Scriptures to see what God’s call was on him, and he obeyed. He is now mobilizing the Church to be the ones who don’t look away, but who show up when the world needs it most. We originally published this post on April 6, 2009, the 15th anniversary of the genocide in Rwanda. 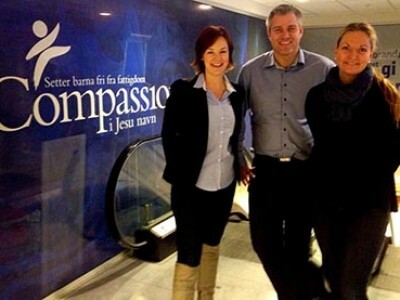 In 2013, a global Compassion partner office was opened in Scandinavia. Compassion Scandinavia CEO Leif Ingvald Skaug shares his prayers and hopes for the future of Compassion in Scandinavia. 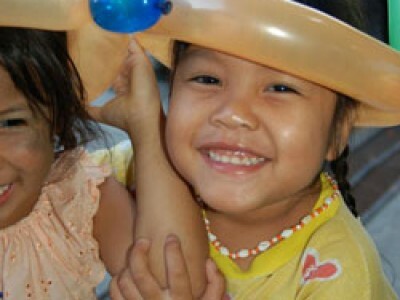 These beautiful children living in extreme poverty are being shown love that they never dreamed could be true for them. Hope in Jesus is the life blood of changing our world and it has to begin with us.